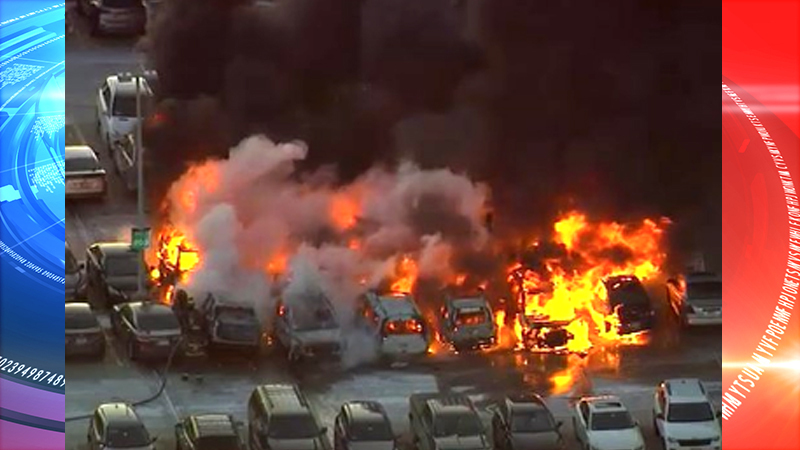 NEWARK, NJ — A raging fire torched at least a dozen vehicles at Newark Liberty International Airport on Thursday morning, reports say. Newark Airport officials tweeted that the Terminal C parking garage was closed after an “active fire” took place. About a dozen cars caught fire. No injuries were reported and there was no impact on airport operations, according to ABC 7 News. Authorities announced that the Terminal C level 1 roadway was reopened about two hours later. However, due to icing conditions, there was no access to the Terminal C parking garage “until further notice,” officials said.